A new vulnerability was found in the open source library “OpenSSL”. It is called the heartbleed bug. This bug allows an attacker to get the private keys for an HTTPS Server that is running OpenSSL. This bug has affected some of the biggest sites out on the Internet. From Amazon to Netflix. Enterprise Remote Control uses OpenSSL for its web interface, and if you are running it – you need to patch it immediately. What is possible with this bug? If an attacker is on the same network, or can somehow get between you and your server (Man in the middle) he would be able to decrypt the traffic. In most situations this would be difficult – but it is not impossible. Especially if you are accessing the enterprise server from a coffee shop or other public network access. Lets get down to business. There are two ways to patch. The first way is to install the new build we have with the fix. It will take possibly 30 minutes of downtime. Just run the setup package, and it will automatically upgrade your server for you. 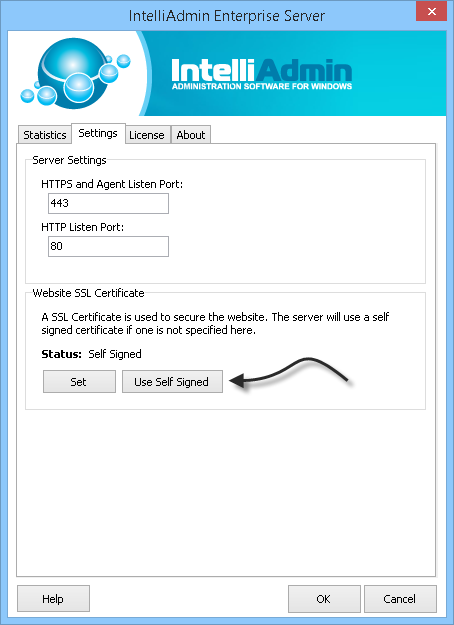 This will force the server to generate a new self signed cert. If you purchased a cert, then you will need to get it re-issued. Because of how widespread this issue is – your certificate provider should have a process in place for this soon, if not already. We really appreciate the speed at which you have updated the enterprise server. We have other vendors who don’t even have an eta when it will be fixed. You guys have a fix out almost the moment I found out about this problem! Thanks for the quick update steve. We followed the update and yes it replaced/fixed the two dll’s. That is only used to generate certificates…and is only run during the install to create a self signed cert. You are welcome to update that as well, but it is not a security flaw for the configuration of our software.